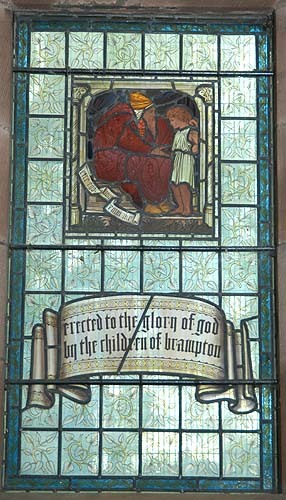 This is the Children's Window, paid for by gifts made at baptisms. It was erected in 1896. It represents Eli with the infant Samuel.